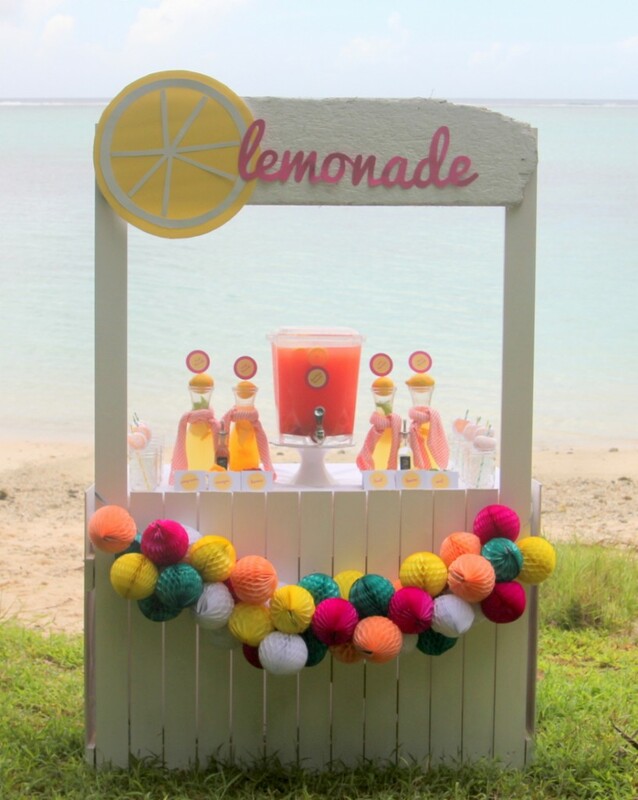 I know, I know- this is our second or third Lemonade Bar. 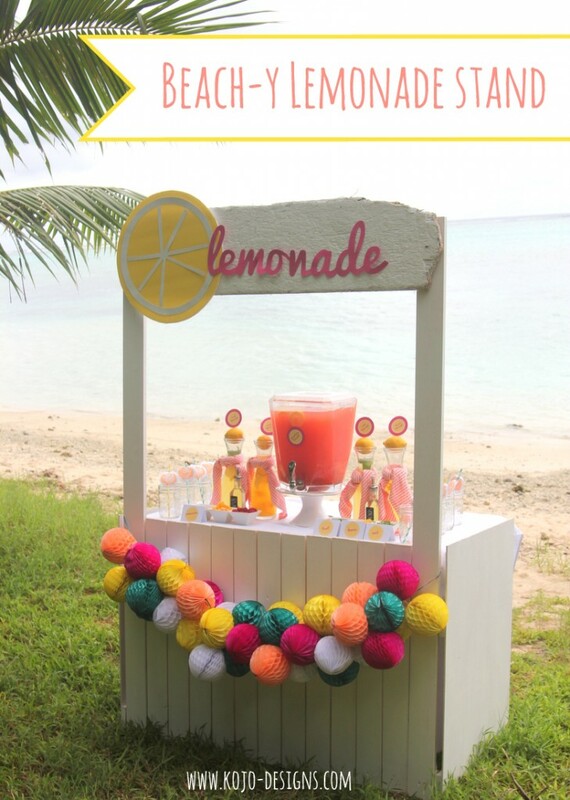 But Adam built this super fun tiki hut/drink stand for me. 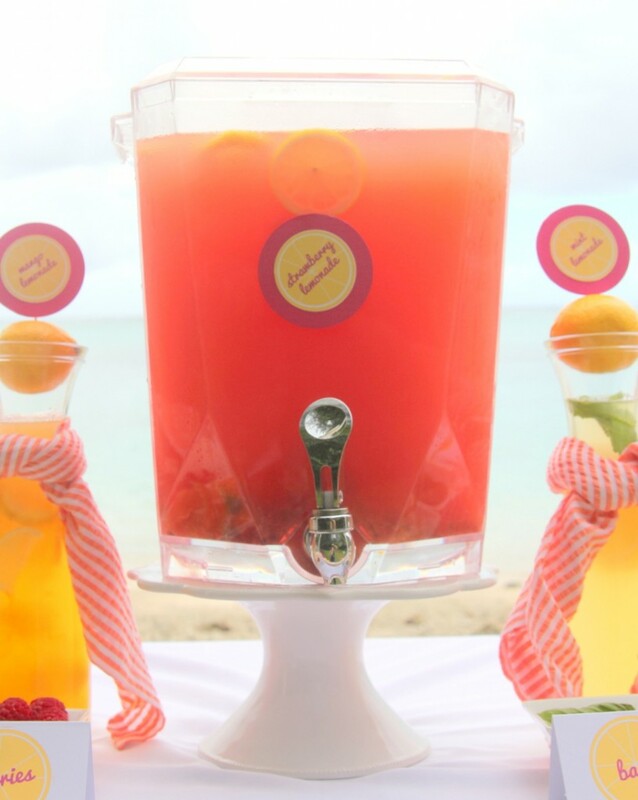 And I was throwing a baby shower on the beach. 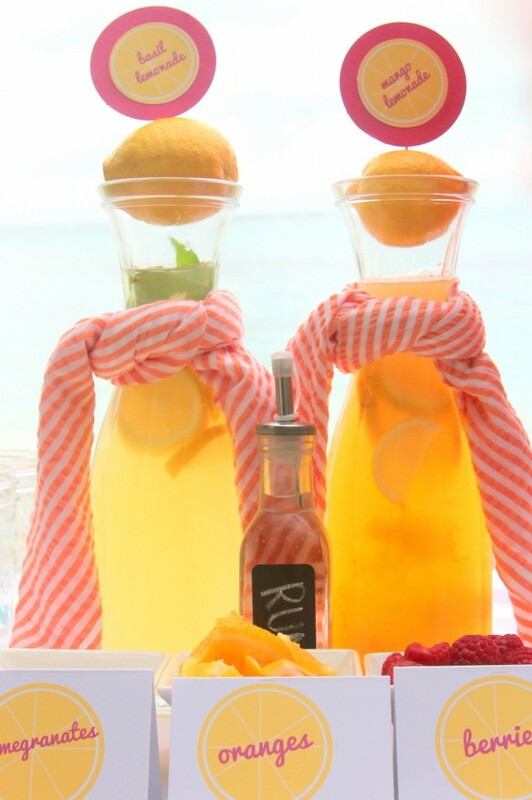 And (yet another) Lemonade Bar was just calling my name! 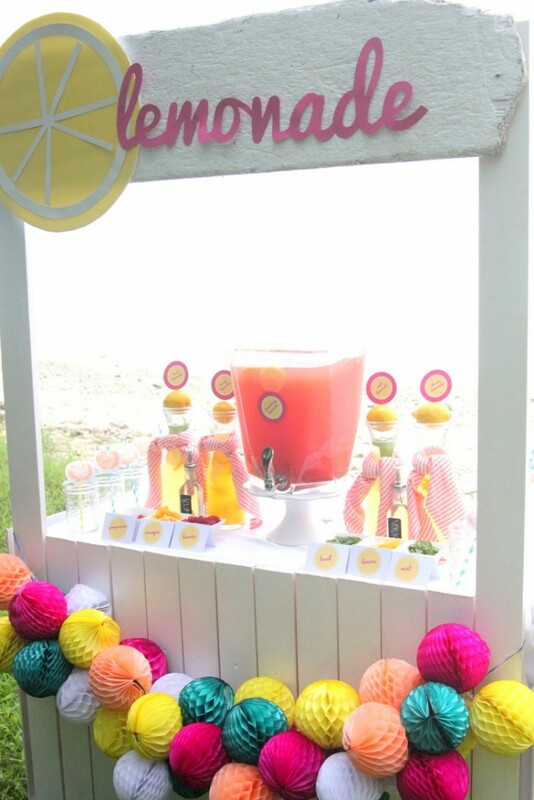 The formula for this perfectly beach-y drink station is extra simple- tiki hut (or table), pitchers of flavored lemonade, one giant drink dispenser filled with sweet-tart lemonade deliciousness, berries, fruit and herbs as mix-ins , and mason jars filled with party straws and sweet lemon stamped straw toppers. 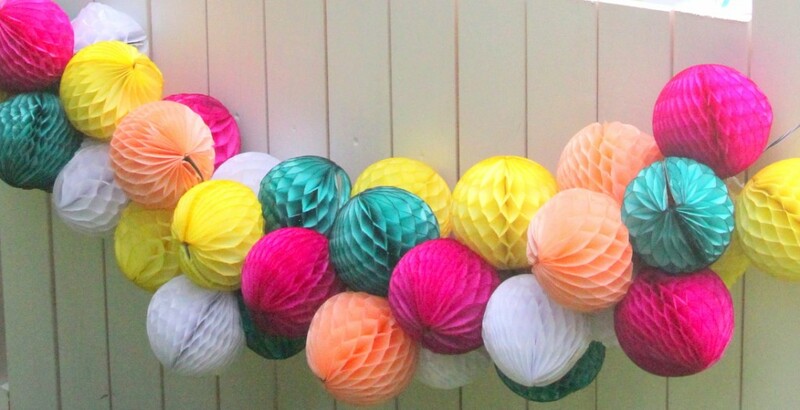 Oh, and a bright and cheerful honeycomb ball garland (directions found here). So easy to put together, friends. And so fabulous! 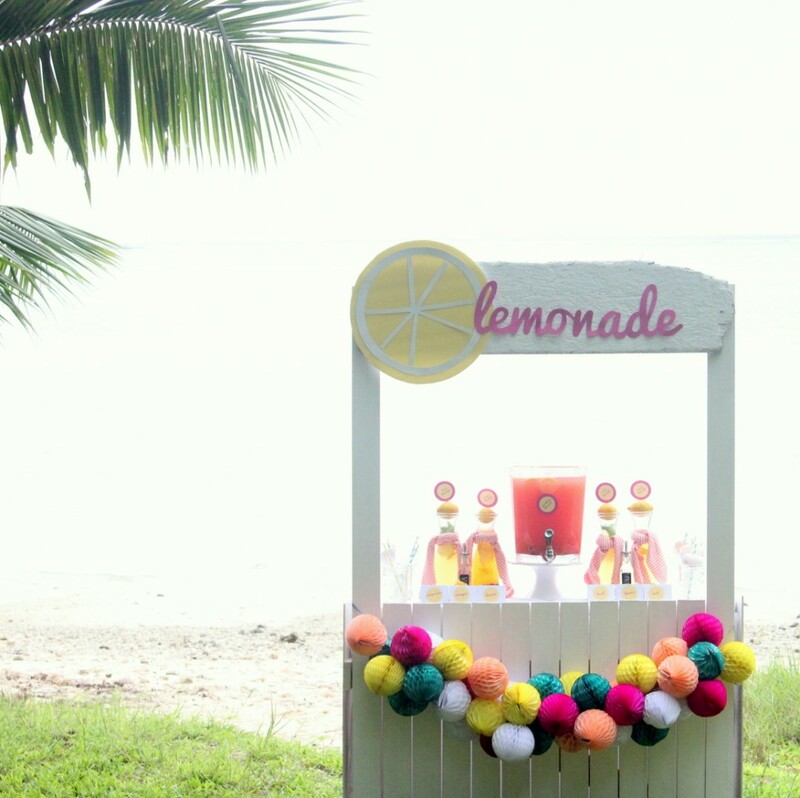 ps- Hilariously, finding yellow lemons here in Saipan proved to be quite the adventure (of course, I see them everywhere now, they were just nowhere to be found that week).